Sukumari Bhattacharji’s Legends of Devi is a captivating narration of various legends and folktales about the revered Devi’s or goddesses of the Hindu pantheon. The goddesses not only epitomize the forces of good triumphing over evil, but also the source of worldly well-being. Their forms are many, ranging from the fierce to the benign. Intrinsically human in their frailties and shortcomings, most of the goddesses have attained divine status owing not so much to their supernatural powers as to their devotion, determination and sacrifice. 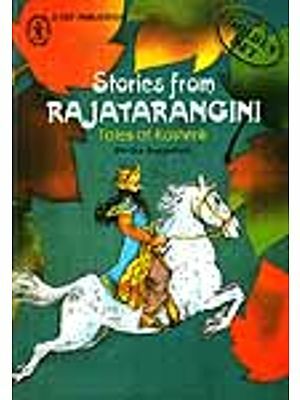 This colourful collection of mythological tales remain closely woven in the fabric of Indian life and culture and often reflect the ceremonies, beliefs and value systems of a particular age. Ramananda Bandapadhyay’s vivid illustrations are symbolically rich. Specially commissioned, they in themselves constitute a storehouse of information on mythological iconography. Sukumari Bhattacharji is a Sanskrit scholar of renown. Her published works include The Indian Theogony and History of Classical Sanskrit’s Literature, among many others. She has received acclaim as an astute Indologist with a fine sense of literature, history and cultural movements. In Legends of Devi, she presents her analysis of some of the legends and narrates them with penetrating insight. Although her work has sometimes evoked mixed reactions among scholars, they have not been able to ignore her analyses. She has taught Sanskrit at the Jadavpur University, Calcutta and after retirement has been a visiting fellow at a number of institutes. Her writings have acquired added significance at a time when Sanskrit texts are often misinterpreted or misquoted. Sukumari Bhattacharji received the Ananda Puraskar for literature in 1988. Ramananda Bandopadhyay is one of the finest .exponents of the Bengal School of painting. His communication with his viewers is easy and exhibits his deep knowledge of the subject. His drawings reveal an intense search for beauty, lyricism and musicality together with robustness and grit. Ramananda was born on 14 April 1936. He studied art at the Kala Bhavan in Shantiniketan from 195 to 1959 under the tutelage of Nandalal Bose. Later, he taught at the Purulia Ramakrishna Mission School and was also the Director, Museum and Art Gallery, at the Ramakrishna Mission Institute of Culture, Calcutta. The worship of the Devi or Goddess in India dates back to the period of the Indus Valley Civilization. It became widespread and was accompanied by complex rituals after the Aryans settled on the land. The nomadic Aryans who invaded India between 2500 and 1500 B.C. were mostly cattle-rearers. They perhaps did not have any knowledge of the art of cultivation, but they were powerful warriors and soon subjugated the indigenous population. Gradually they were lured by the security of a settled agrarian life and they picked up the skills of agriculture. The joy of a rich harvest produced ‘a fertile soil watered by the Ganga and the Yamuna was a novel experience for the nomadic hordes. For the first time they had the means produce a steady supply of food. Therefore the earth or Prithivi, which enabled them to gain this security, came to be praised as a goddess — a e female provider. To them she was like a mother who sustained m and their cattle, on whose firm soil they pursued their whims and pleasures. With corn ripening on the earth, they saw a woman with den breasts from her flowed all blessings and happiness. This bounty of the earth made the Aryans prosperous but at the same it also increased their fear of attacks by other nomadic and hostile as well as the indigenous inhabitants of the land they had forcibly conquered. Their fields and granaries were open to plunder and pi1ence. Lakshmi, the protector of splendour, wealth and prosperity took the pride of place. But in this case the Aryans faced an interesting dilemma. When the Aryans occupied northern India, it was inhabited by an agrarian people who worshipped their corn goddess by her original name, Lakshmi, because she was associated with mud and moisture and she symbolized harvest, the pre-Aryans’ material prosperity. Later, when the nomadic pastoral Aryans learned the methods of cultivation and raised their own harvests, they too dedicated it to Lakshmi. But their prosperity could only be established by crushing, defeating and driving away the pre-Aryan goddess of harvest or the pre-Aryan Lakshmi. So, this pre-Aryan Lakshmi was now named Alakshmi, and looked upon as an evil rival. She was fashioned crudely out of mud, water and cow dung in memory of her old epithet, Karishini, fanned with a winnowing fan and thrown away. For only when the pre-Aryan prosperity was abolished, could Aryan success and agricultural prosperity be established? The interesting thing about the Lakshmi of the Rigveda was her synonyms — Jyaya or Jyeshta meaning ‘eider’ or ‘eldest’. This signified that she was the earlier goddess, later ousted by the Aryan goddess of prosperity. Water had always played an important role in Aryan rituals. The Ganga was the most beautiful river with the longest course in northern India. Ganga has been regarded as a goddess ever since the later-Vedic age, when the Indus Civilization flourished on her banks. Her mythical connections with heaven, the ocean, the Himalayas, the sage Jahnu, Brahma, Shiva and Vishnu as well as the other goddesses added to this image of sanctity. Even today this goddess is worshipped as the bestower of earthly gifts and even of ultimate liberation. The River Yamuna mingles with Ganga at Prayaga, a very holy place of pilgrimage. Both are considered to be major goddesses in the Hindu pantheon. Many of the other rivers marked the boundaries of the early settlements which grew on their banks. The Sarasvati and Drishadvati were two such rivers. The accumulation of wealth provided the Aryans with leisure which in turn created an ideal situation for the growth of knowledge, the arts and crafts. Sarasvati, as the goddess of learning, was now treasured. But even before the coming of the Aryans, during the Rigvedic age, the river Sarasvati was believed to possess healing properties and was associated with the Asvins, the primary healing gods of the Vedas. This river also demarcated the eastern boundary of the early Aryan settlement; the Manusamhita states that Brahmavarta, the ancient habitat of the Aryans, lay between the Sarasvati and the Drishadyati. The latter river disappeared under the arid sandy tracts long ago. Sarasvati played a major role during the early phase of the growth of the Aryan settlements and the flowering of their culture. The Aryans were a completely illiterate, pastoral and nomadic people, who could not read or write, so the spoken word, or yak was very precious to them. Their culture, essentially a sacrificial religion, was based on Vak, the spoken mantra or spell. Concurrently, their cattle found a lush pasture on the banks of the Sarasvati. As they settled down, the Aryans created a complicated end elaborate sacrificial ritual, the matrix of most of their learning. Hence the river became synonymous with knowledge. These two concepts merged to create the identity of the goddess Sarasvati. In one of the myths we are told that while a bargain was being driven with the demons, or rather the non-Aryans, yak deceitfully came over to the Aryans; in reality, this is a history of the Aryan language and culture prevailing over that of the indigenous people. As the goddess of logos, yak is also mentioned in a few Vedic myths. Soon the Aryans became known for their wisdom and wealth. As a result the fear of attacks on their well-planned communities also increased. The warriors were always on the alert. But it was becoming increasingly difficult for them to protect themselves and their possessions. They needed strength, courage and fortitude to ward off the constant invasions. Interestingly, in most of the myths dating to this period, the non-Aryans were referred to as demons — uncivilized, evil, lascivious, with strange magical powers. To fight these evil beings the Aryans created the cult of Shakti and the Matrikas or mother goddesses which were in reality female emanations of the male gods but much more powerful. Goddesses like Durga, Chandika, Chamunda and Kali gained tremendous importance in the pantheon. They were either personified as powerful and awe-inspiring warrior women, armed to the teeth or like Kali, Chamunda, Dhunavati and Chhinnamasta they assumed horrific forms. Their very bearing was expected to strike terror among the enemies of the Aryans. The worship of these goddesses was accompanied by intricate rituals and sacrifices and often stretched over a number of days. Besides the Matrikas, there were also the Tantric group of the ten Mahavidyas, great wisdom goddesses. Of these Kali is the first, the other nine being Tara, Shodashi, Bhuvaneshwari, Chhinnamasta, Bhairavi, Dhumavati, Bagala, Matangi and Kamala. Tara, the saviour, was later appropriated by the Buddhists. Shodashi was the goddess as a sixteen-year-old pretty young girl. Bhuvaneshvari was her manifestation as the sovereign of the universe. As Chhinnamasta she assumed a dreadful form, in which she held her own head in her left hand and drank the blood pouring from the trunk. As Bhairavi she also assumed a fearful shape.. a female counterpart of Shiva in his irate and destructive mood. Dhumavati was perhaps the only manifestation of a goddess dressed as a widow. This goddess was portrayed as an old emaciated woman, with no beauty or grace. In a dirty and tattered robe and with disheveled hair, she held a winnowing basket in her hand. She had a long nose and her eyes looked cruel, with the appearance of one whose hunger and thirst are insatiable. She also looked sly, querulous and deceitful, embodying all that is held inauspicious in a widow whose world of enjoyment had suddenly collapsed, leaving her a perpetually insatiable wreck of unfulfilled desires. This however, was also an indirect and solitary evidence of a widow being worshipped or ritually propitiated. In her form as Kaumari, the goddess signified the worship of the maiden, in Sarasvati the childless wife, and in all her forms as mother goddesses, wives with living husbands and children were personified. In her manifestation as Bagala, she was also called Bagalamukhi which may have originated from the word for crane (baga), as this goddess has a crane’s head. She was the goddess of black magic and poisonous substances. She, strangely, enjoyed the sight of suffering and incited strife and torment. Matanga means elephant, and Matangi symbolized its power. Shiva was known as the elephant-killer and Matangi was his consort. She was conceived as a beautiful woman seated on a throne, wielding beneficial power. Kamal, another form of the goddess, was a pretty and auspicious woman, a consort of Sadashiva, the ever-benign. There were again eight incarnations of the goddess as an ascetic or yogini — Tripura, Bhishana, Chandi, Kartri, Dhartri, Hartzi, Vidhayini, Karala and Shulini. Some of the manifestations overlap as the same name occurs in different groups. The appearance of the goddess Kali’s various manifestations depends on the place of her appearance and the purpose of her worship. 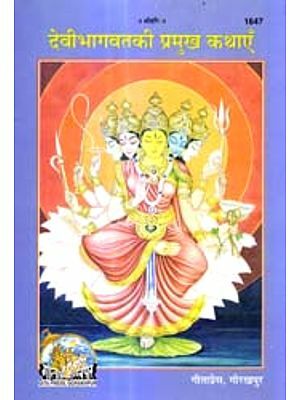 Thus she emerges as Shmashankali, Bhadrakali, Grihyakali, Mahakali, Rakshakali etc. There is even a Kali of the brigands, known in Bengal as Dakate Kali, whom robbers worship with fanfare before setting out to commit dacoity. These manifestations associate her with the local goddesses popular among the common people. However, this tremendous faith in the worship of the Devi’s did not translate into any special treatment of the women-folk. On the other hand, in a strongly patriarchal society they were subjugated and often treated very harshly. Their ability to undergo mental and physical pain was highly lauded and this very capacity often raised them to the ranks of a goddess. Sita and Radha are the best examples. These goddesses did not possess any spectacular divine powers compared to the others mentioned before. Their devotion to their consort or lover was considered to be their biggest virtue. The care of infants and children has always been the traditional domain of women. Shasthi, the benign, motherly goddess embodied the divine aspect of this power and was also supplicated to grant offspring to the childless.